ISM Dhanbad Finally IIT Dhanbad: The Indian School of Mines Dhanbad be called as Indian Institute of Technology (ISM), Dhanbad with effect from 6t September 2016. As per official notification by Registrar IIT Dhanbad (Indian School of Mines), Dhanbad vides The Gazette of India dated 6th September 2016. Following the previous news of up gradation with 6 new IITs in a country at Tirupati, Palakkad, Dharwar, Bhilai, Goa and Jammu. This leads to a total of 23 IITs now. 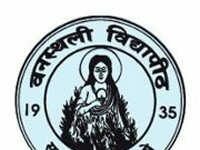 The “Institutes of Technology Amendment Bill (2016)” which got approval to establish 6 new IITs and to upgrade Indian School of Mines, Dhanbad to Indian Institute of Technology (Indian School of Mines) Dhanbad has finally got approved and from today ISM Dhanbad will be called as IIT(ISM) Dhanbad. Now fully converted and most probably the students got Admission through IIT JEE 2017 will step into the only IIT of Jharkhand, I.e. IIT Dhanbad. The ISM Indian School of Mines, Dhanbad From its inception in 1926 the school had a national viewpoint and one of the most reputed institutes of technical education and research in India. It was started as an institution for imparting mining education and got converted into a full-fledged technical institution of international acclaim offering programs under the IIT recognition from last few years, the institute has good relations with reputed universities worldwide and known for newer areas of academic endeavours. The Indian National Congress at its 17th Session of December 1901 passed a resolution that a Government College of Mining Engineering should be established in the suitable place in a country following the models of the Royal School of Mines in England, Mining Colleges of Japan and at another part of the world”. Dhanbad was chosen because of the country’s prime coking coal belt. 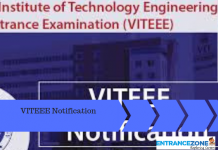 The departments of Mechanical and Mining Engineering, Fuel and Mineral Engineering, and Electronics and Instrumentation Engineering were added in 1975-1977 along with Management Studies. The Dept. of CSE “Computer Science and Engineering” was added in 1997. Department of Electrical Engineering a decade before only in 2005, followed by the Dept. of Environmental Science Engineering in 2006, and the Chemical Engineering Dept. in 2010. The serene campus comprises of Art of infrastructure academic buildings, student hostels and 100% residential facilities for students, faculty, and staff apart from other infrastructure facilities. The School has an alumni base all over the globe. The student strength increased from 3362 to 7648 in 2016 an overall increase of 128% is noted. The Number of Academic courses increased from 48 to 65 in the last five years. Online student’s semester feedback system for every subject and for each teacher is developed and implemented. The number of faculty members increased from 184 to 276 plus 9 chair Professors and 18 Adjunct Professors. The Campus placement increased to 80% in spite of the increasing number of student’s strength and recession in job placements/industry. 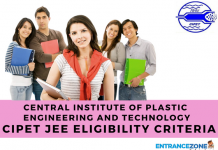 CIPET JEE 2019 Eligibility Criteria: Central Institute of Plastic Engg.